New A Show bridle/cavesson made by Marjoman. 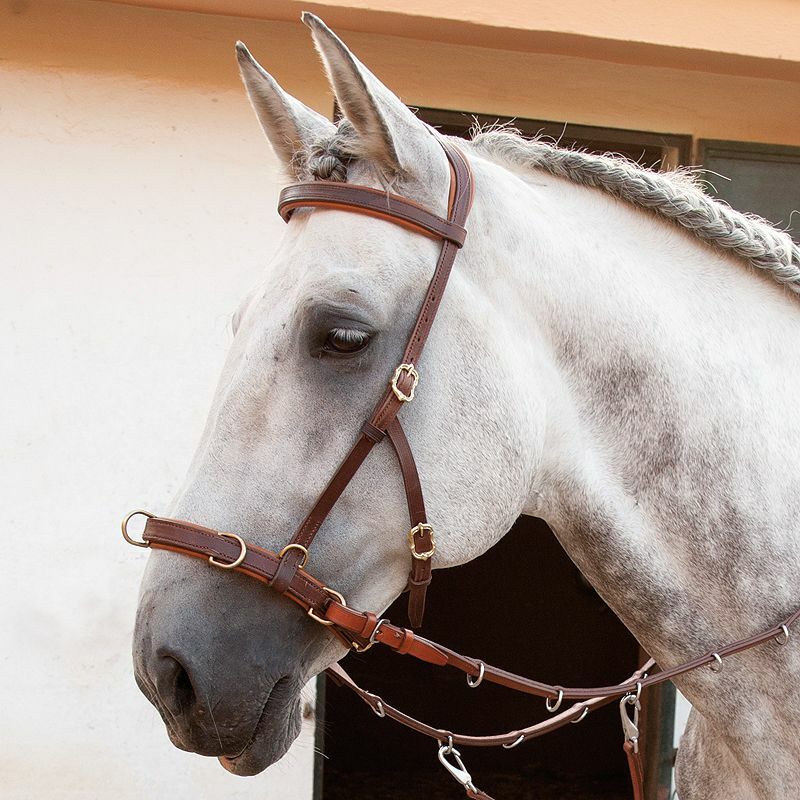 The noseband is all leather, made from top quality european hide, with no inner metal portion and has three rings sewn into the leather. 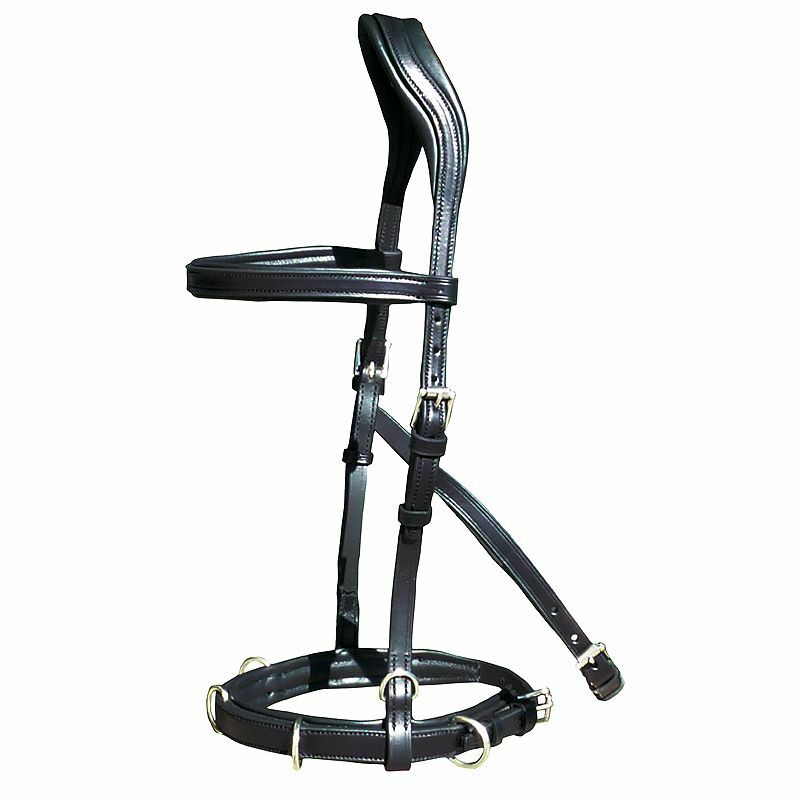 The throat lash is the lower style, designed to keep the cheek pieces of the headstall away from the horse's eyes, rings are incorporated into the headstall to carry bit straps which are an option if required. 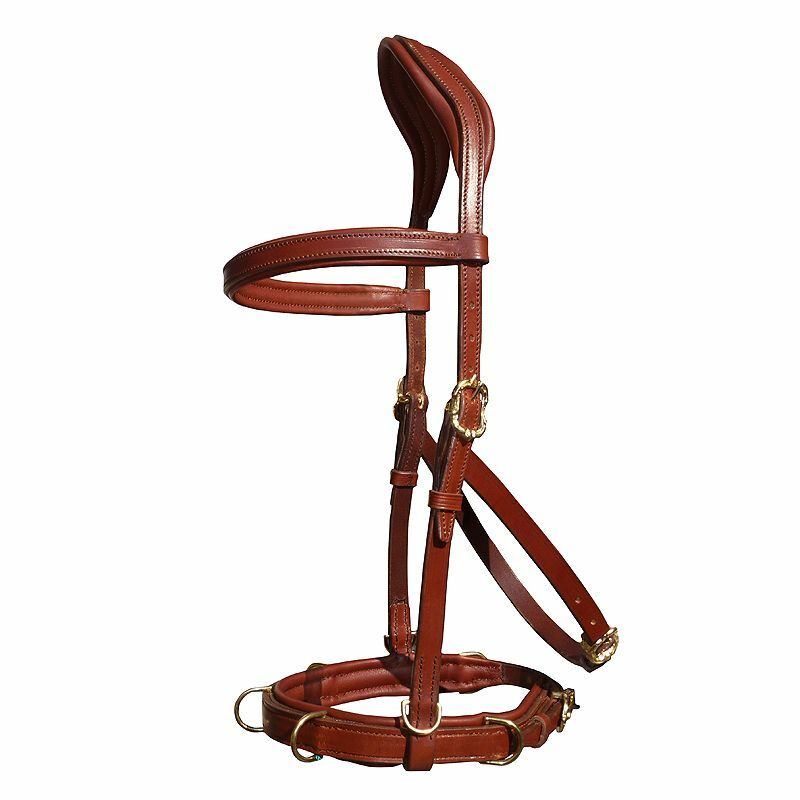 The headstall is especially shaped for comfort.